Solid forged hardened and tempered. Wide thin blade for removing skirting, coving and dado rails, claw for removing embedded nails and tacks. 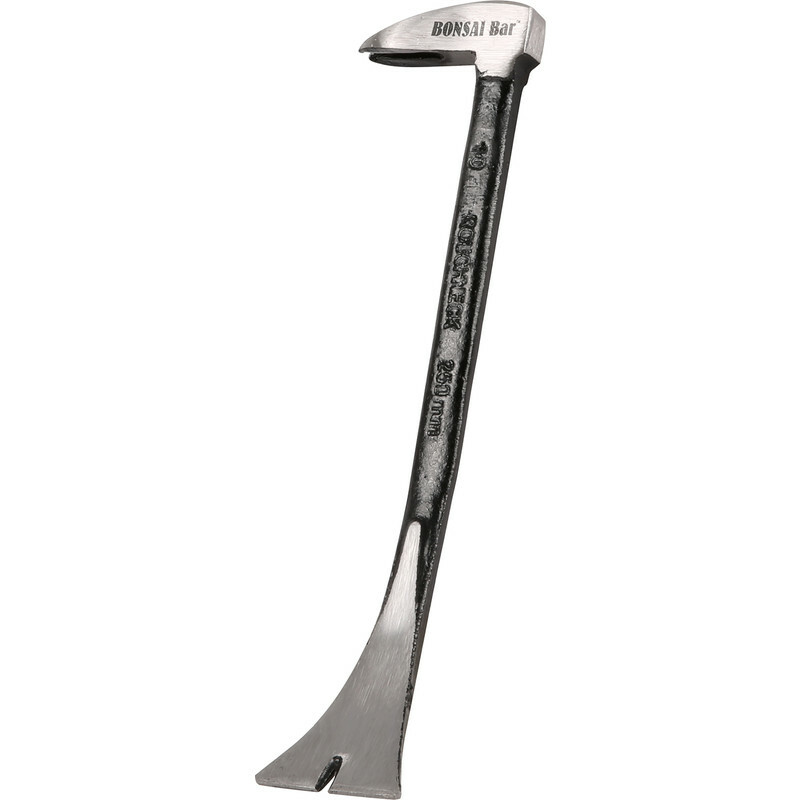 Roughneck Wide Blade Pry Bar 10" (250mm) is rated 4.0 out of 5 by 3. Rated 5 out of 5 by Framgram from Great wee tool Perfect for skirtings,facings gripper etc. Rated 5 out of 5 by MrWhoppit from Just the job Good strong bar at a good price, perfect for removing skirting.